Behind every great club is highly involved and energetic management. Workout Anytime Beaverton has found theirs in manager Kellie Carney. Kellie has been with the club since its opening almost two years ago and, as a standalone club in Oregon, she has mastered the systems and not let being in an area without any sister clubs hold her back. 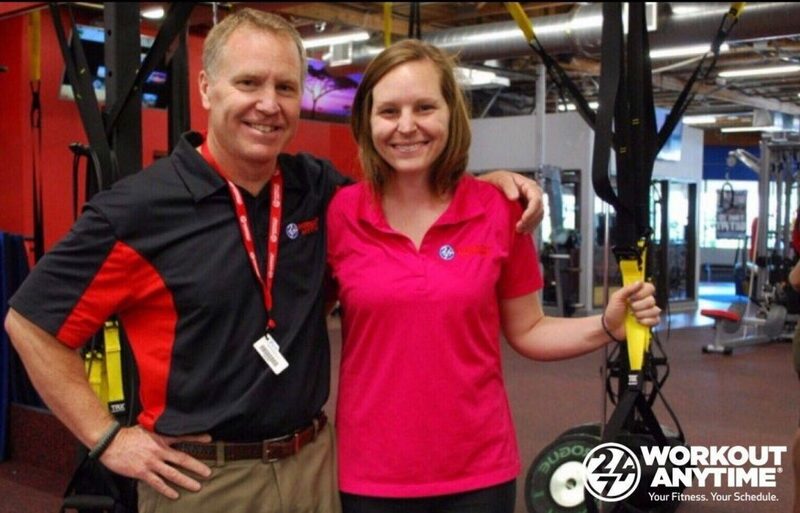 Kellie joined the Workout Anytime family after her father purchased a franchise agreement several years ago. Upon moving back to Portland, Kellie ͞told him I was more interested in partnering with him to not only help build this club, but ensure its success and use it as a show piece to help develop the surrounding area.͟ Since then, Kellie has not strayed from that ideal and continues to work daily to ensure club success. The resulting club is one of the highest standards and work ethic—an atmosphere that continues to pay off for everyone involved. maintained a passion for the field, stating, ͞I believed the gym would possess a positive, creative and fun working environment. . . The innate culture of the club fuels creativity, communication, and inspiration. Being a stand-alone club on the other side of the country can present certain challenges when it comes to getting involved and feeling part of the Workout Anytime community. That quickly changed for Kellie and the Beaverton team with the beginning of Lift For The 22. Started by then staff-member Carter Davis, Lift For The 22 found its first home in Workout Anytime Beaverton. Although the organization has since outgrown the club and placed its headquarters in Chicago, Kellie and her team remain active supporters of the organization. In fact, Kellie believes that partnering with Lift For The 22 was one of the largest factors toward her success as a manager. According to Kellie, creating a common goal for our members was a crucial aspect of our membership growth and retention. Lift For The 22 gave members a sense of ownership. This is a tangible program with instant gratification and strengthens the community relationship and club culture. Kellie and her team remain active with Lift For The 22 all year long, supporting veterans in any way they can. Kellie’s second factor to building her success was her strong team backing her. She has worked hard to build a team that takes ownership in the club and its success, stating, “We pride ourselves on being family owned and operated, and as such we try to instill this value into our employees. Employees here hold ownership in assigned duties and are held accountable to meet the benchmarks we set.” Beaverton staff participate in monthly team meetings, during which they set goals, take suggestions, and have an overall open communication regarding the club and its operation. According to Kellie, “I openly communicate with staff and try to be as transparent as possible.” She believes it is this transparency that truly unites the staff and creates a sense of belonging and ownership. Kellie shares their production numbers with the staff each month to set goals and discuss what they can do to be even better. 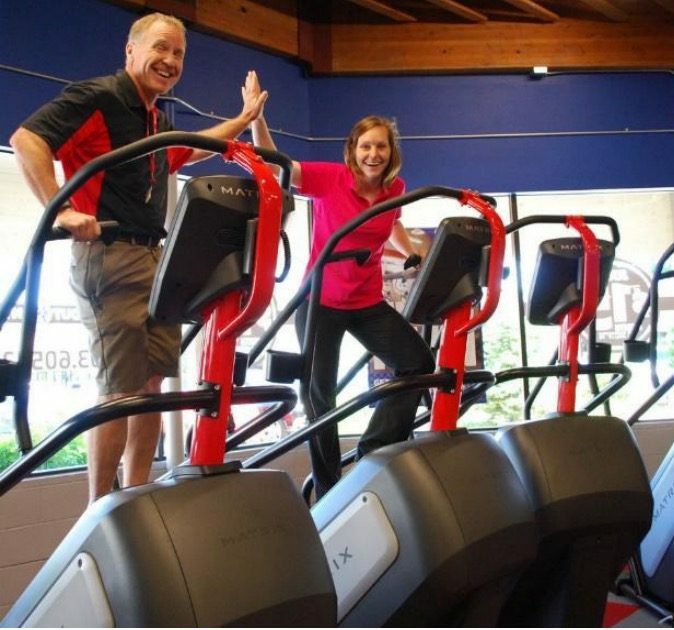 This sense of inclusion creates a unique sense of family within the Workout Anytime Beaverton staff. though. She recognizes that it can even be overwhelming at times. To battle this, Kellie recommends that you build a team of staff you trust. This allows you to focus on the bigger tasks at hand as they handle all of the small details necessary to keep the club running optimally. Developing a club culture where members feel a genuine connection to the staff and management will also help reduce the stress that can at times be associated with managing a club. Kellie and her team are eager to have two-way communication with their members and hear about their successes, as well as learn of any areas they can improve upon. new and creative ways to connect with the community using affordable marketing opportunities and the use of her team to keep her motivated and moving forward. We congratulate Kellie and her team on two years of success and look forward to many more!